DIY Wood Pumpkin Tutorial: perfect project to make for Fall and Halloween! 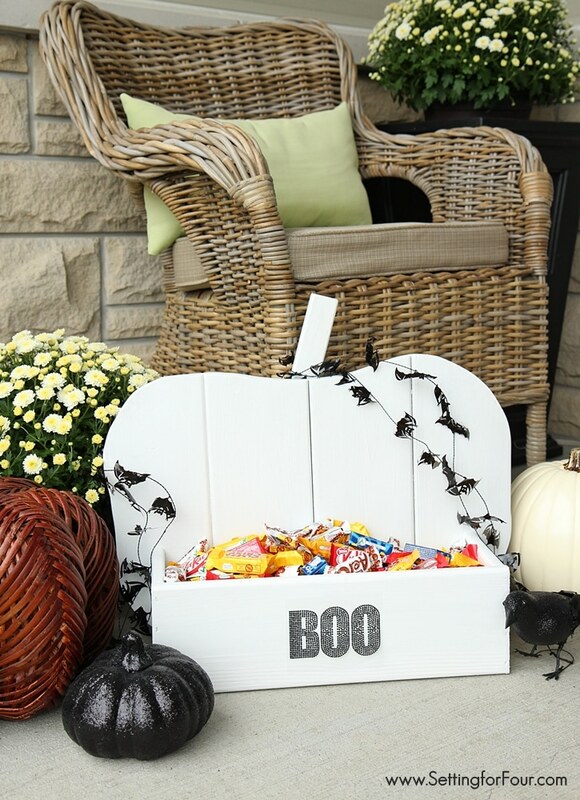 Decorate your porch, inside your home or for your next Halloween party! Use it to hold candy, plants, magazines and more. I’m so excited that Fall is here and share with you my latest DIY project! For someone like me whose passionate about decorating, Fall is a great reason for me to switch up my porch decor and add fall plants and…pumpkins! 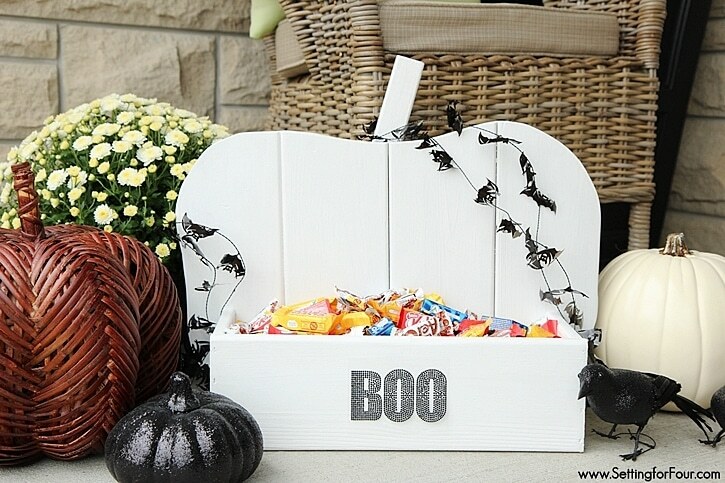 Recently I made this DIY Wood Pumpkin Stand for my entryway – you can use this wooden holder to hold plants, candy, magazines or other home related items. I’m showing you how it can be displayed for Halloween – Isn’t it beautiful? I’m so excited to show you how I made this rustic DIY wood pumpkin! 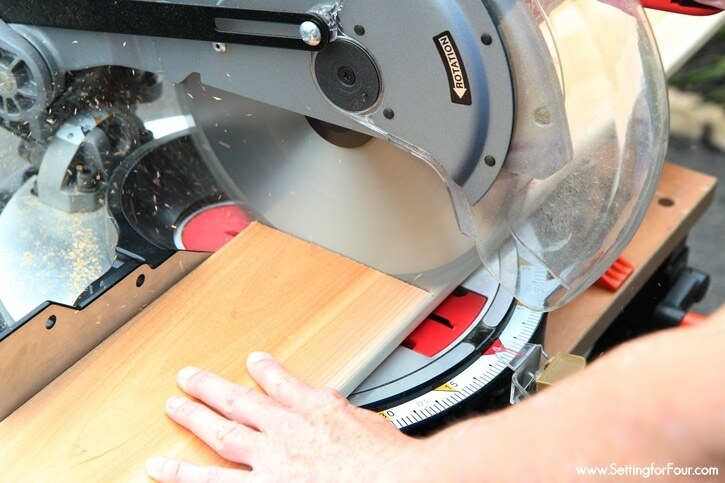 Cut all of your boards on the cut list using your circular saw. For the pieces on the pumpkin, there is flexibility to cut slightly shorter to accommodate all of the pieces per given materials list. 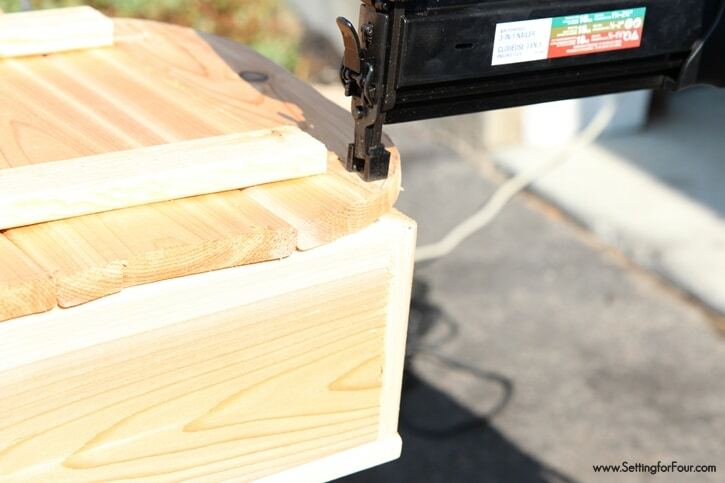 For the box pieces, you need to cut straight and accurate to the cut list. 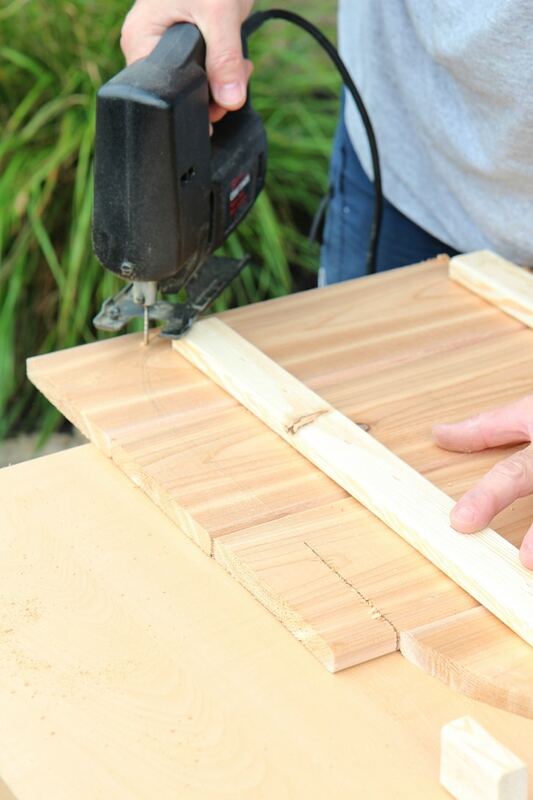 Lay the four fence pickets on the work surface – the overall width should about 23″. 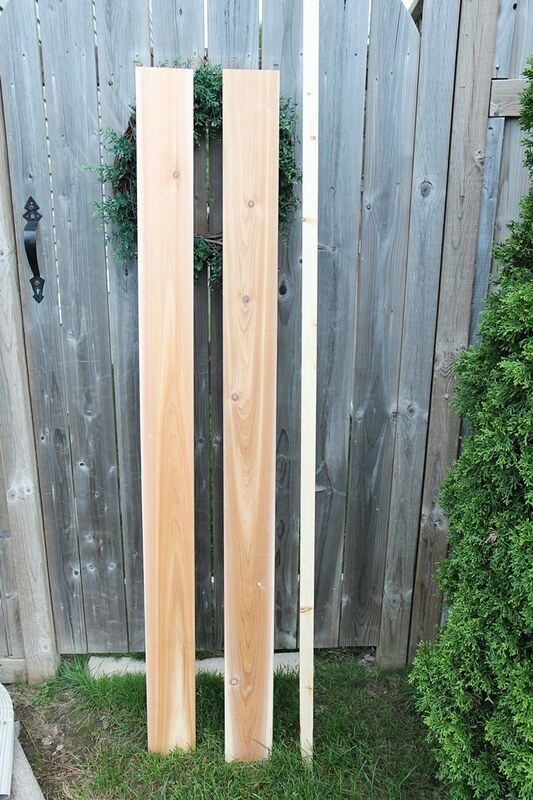 Place the 20″ long 1x2s on top with approximately a 1-1/2″ gap on either end. 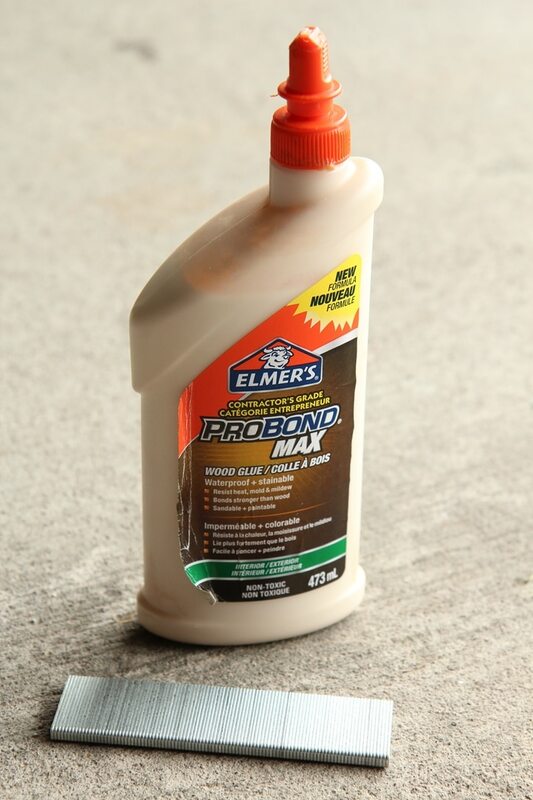 Tip: Use the stem piece(stem is 1-1/2″ wide) as a guide! 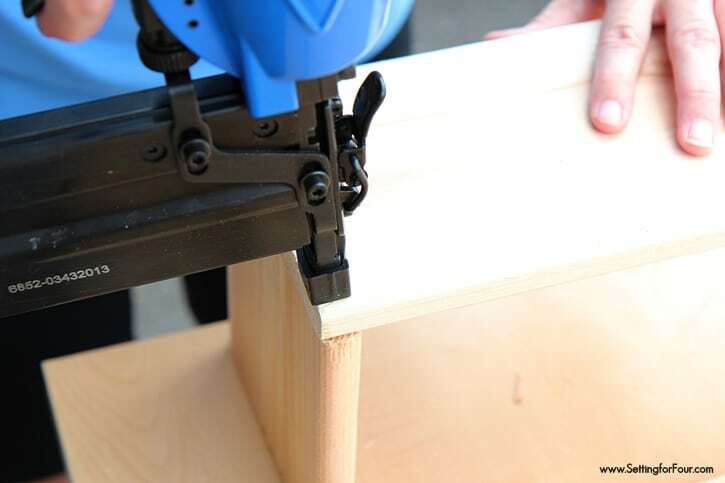 Use wood glue and staple gun to secure 1x2s to the fence pickets. Flip project over and add additional two staples per overlap of fence picket and 1x 2 to secure fence pickets from front to 1 x 2 support. Do not staple withing 1″ of the edges as there is no 1 x 2 backing here. 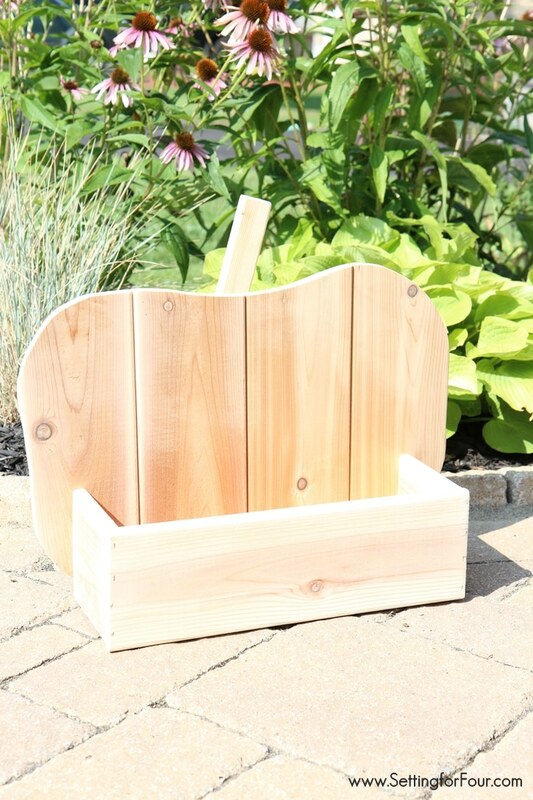 Use carpenter’s pencil and draw a pumpkin shape on the front of the cedar boards, starting 3″ out at the bottom edges. Do not cross the 1 x 2 supports when you are drawing your pumpkin shape! Don’t worry about your pumpkin shape being perfect – keep it organic and unique looking! 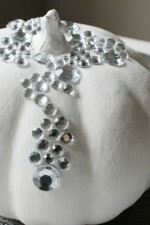 Tip: Pumpkins are usually bottom heavy so consider a larger rounding at the bottom and a smaller rounding at the top. Place project so the area to be cut overhangs the work surface to the jigsaw blade to cut freely. 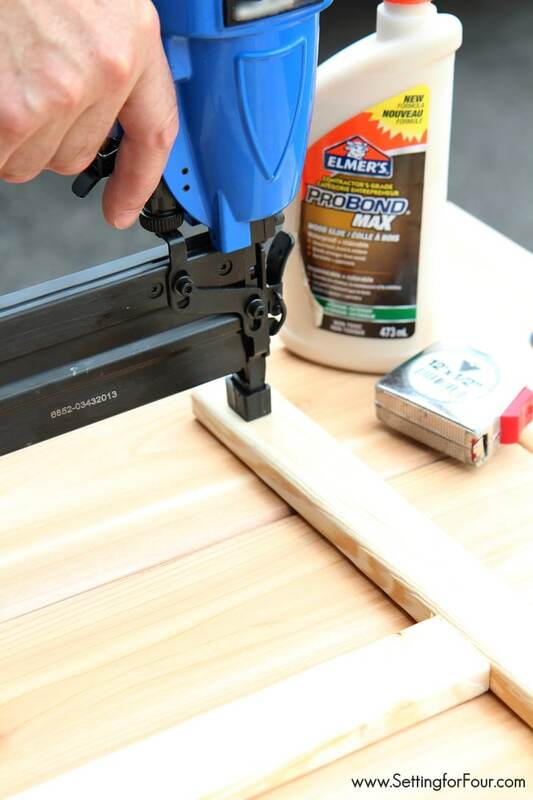 Secure the project to the work surface with two clamps. Cut your shape with the jigsaw. Cut a bit, remove the clamps, re-position your pumpkin, re-clamp, and cut again until it’s completely cut out. Place stem in center of pumpkin and attach with glue and 2″ staples. I put mine at an angle to give it more of a real organic look! Now it’s time to create the box: we used our glue and 1″ staples to assemble the box as shown above. Attach the front of the box to the sides applying glue along three edges of the bottom of the box. Place bottom of box inside front and sides. Staple in place along the side and front edges with 1″ staples. Next we attached the box to the front of the pumpkin with glue and added staples to the back. Let everything set for 24 hours. Sand any rough edges and paint. I applied two coats of white exterior paint letting each coat dry in between. I also draped some bat garland over my DIY wood pumpkin for another Halloweeny touch. Then I added a ‘BOO’ rhinestone sticker to the front and filled it with candy. When our friends and family come over they can grab a piece of candy on their way in the door. 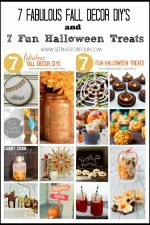 This would also be a great idea for a kid’s or adult Halloween party to display on the party buffet table! Before and after Halloween I’ll use it as a planter. 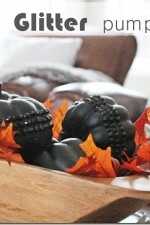 I just love my pumpkin – what a festive way to dress up your home for Fall! For more Fall inspiration see these other DIY wood pumpkin projects – aren’t they beautiful? I love it heather, perfect for candy! Thank you Kristin!! It was a fun project to make! Happy Fall! It is the perfect Halloween candy “dish”! Love the bat garland that you wrapped around it! The bat garland is cute isn’t it?? The candy seems to be disappearing though….I wonder why?? 😉 I happen to have a weakness for chocolate lol!! 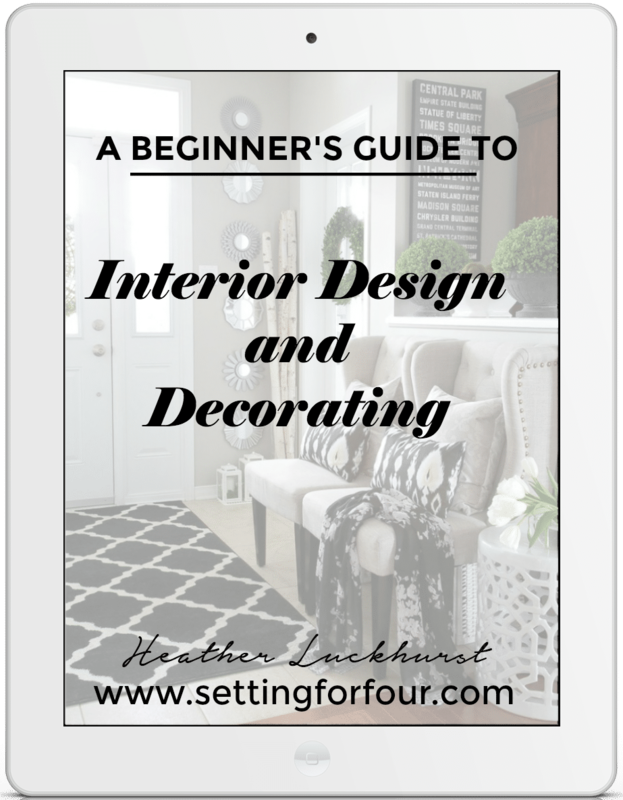 Love how yours turned out – the white is perfect! Happy Fall! 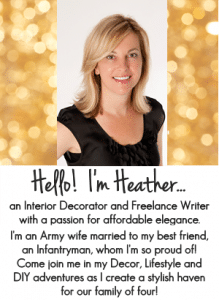 So cute Heather… Love it all creamy white! 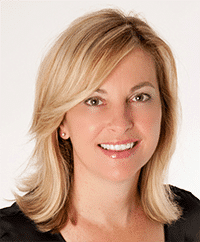 Thank you Maryann – I like the pop of fresh white too! Happy Fall! So cute – I love the bat garland! Perfect for Halloween! You are so sweet Karen – thanks for sharing your sweet comments! 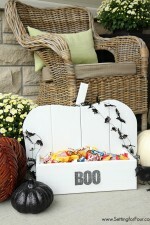 I love your cute boo sticker and how cute it looks on the porch, ready for Halloween and trick or treaters..
How cute! I love that it can be so versitile, both planter and candy box! I made one of these too! It was the first time I had attended one of these events, but you can be sure I will be going again. My daughter and I went together and had a really fun time. We visited with people we knew and met new ones too! I love how you used yours for a candy holder. Great idea! Thank you Angeline!! So sweet of you to say! Thanks for the detailed cut list and instructions! I’m in the middle of moving but looks like a great project for next year! What a cute idea! It’s a little late for me to start for this year, but if I start now, I should have it finished for next Halloween, lol. So, I’m a lil slow! I love things that have multi-purposes!